Beautiful Forever is this Friday! 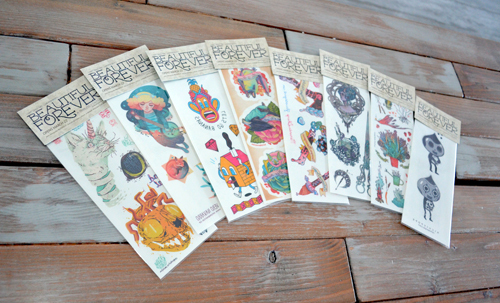 Yes, what could be better than being covered in a bunch of amazing art? Yes, these are photoshopped, but THINK OF THE POSSIBILITIES! Ok Guys. I could have gone to bed, but instead I photoshopped at least one tattoo from everyone's dozens and dozens of designs onto a vacation photo of me and my friend Atom (Who has NO IDEA that he's been chosen as a model for all of these sweet designs!). Also - here's a bonus challenge! Only one of the tattoos is real! Which one is it! Everyone else, LOOK AT THESE BEAUTIES! So don't forget! 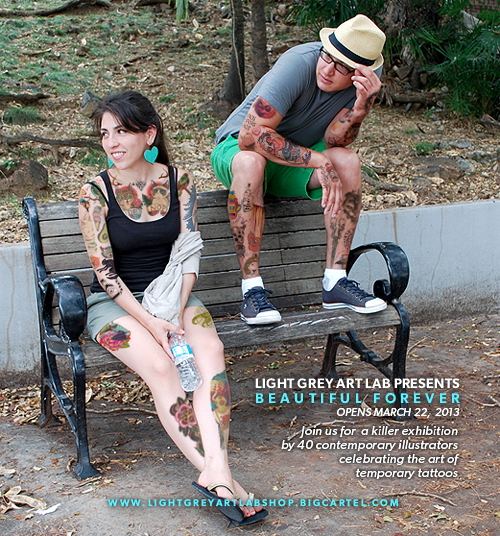 The Beautiful Forever exhibition opening reception is THIS FRIDAY from 7 - 10pm at Light Grey! 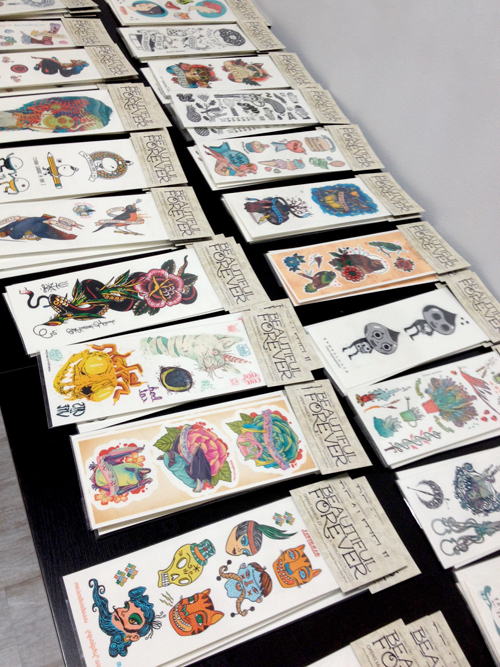 We'll have a tattoo-station where you can apply your new ink and show it off in front of the cameras. We'll make sure to get a ton of great photos! Plus, the guys from Uptown Tattoo (In charge of the Blowout Exhibition, benefit show for Tom Strom) also just let me know that they have secured a custom tattoo gun that will be raffled off on Friday! Crazy! Hope you guys in the Minneapolis area can join us! Just in case, here's the official facebook invite just in case you missed it the first time! Everyone else, we'll keep you guys posted with photos and news from the opening! Thanks, everyone for help spreading the word! 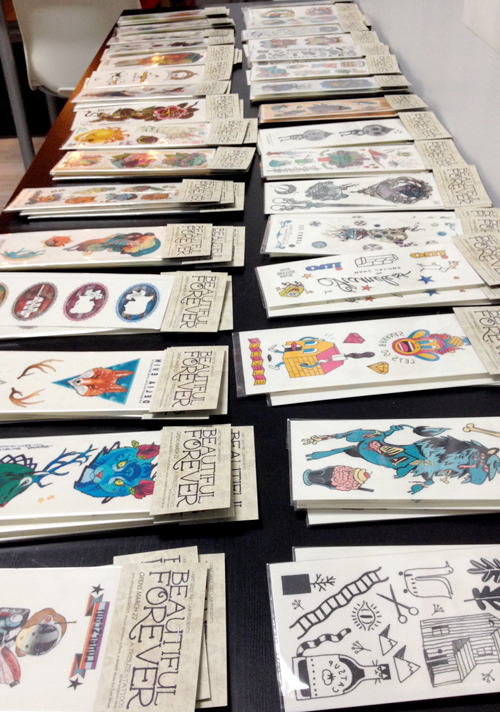 Find all these beauties on our online shop here as well as the great work from the BLOWOUT show!